And if your company is interested in sponsoring this conference, please let us know. 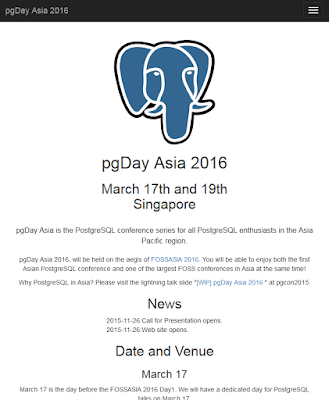 Please visit our website, and let's meet many PG and FLOSS guys in Singapore! 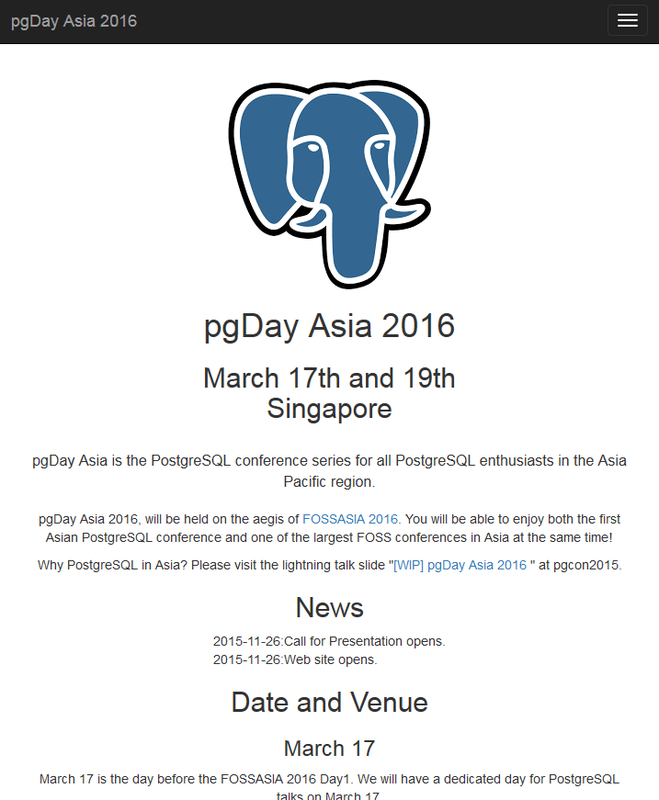 This conference is organized by the PostgreSQL people from Asian communities (You can see the list on the web site), and we are working on a few things about the conference to be determined. If you have any question, feel free to ask me. Here is a presentation slides which I used for a lightning talk at pgcon2015 in Ottawa. Please check this out too.